I just want to show you what's fantastic foods can you fint over the world. I start it with my country. 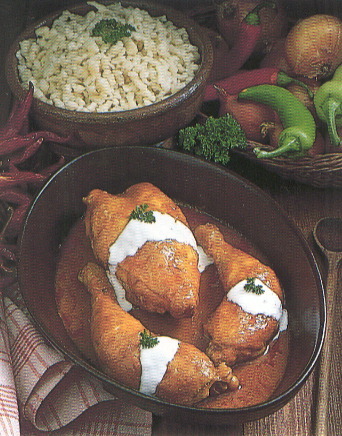 So let's see the picture and tell me what do you think about Paprika Chicken? If you want the recipe, just ask and I write. hi trickomm! i love everything with paprika! we have also in here a traditional recipe (i'm from indonesia).basically it's chicken mix w/ sweet soy sauce and paprika.don't ask me the recipe coz it's my mom who always cook it,lolz.but i really wana know the recipe if you don't mind.i like to try food from other countries.thanks!